Modern science is becoming increasingly interdisciplinary, and cosmology is no exception. The analysis of observational data in order to constrain cosmological theories is drawing more and more heavily on methods from other fields, such as statistics and applied mathematics. These interdisciplinary approaches often go far beyond the level of straightforward application of techniques from other fields, often uncovering fundamental connections or new results in disparate fields. In fact, such interdisciplinary research has given rise to new terminologies: astrostatistics and astroinformatics. I recently had the pleasure of attending IVCNZ 2013, an Image and Vision Computing conference in New Zeland, where I spoke about cosmological image processing. While the general focus of the meeting covered image processing and computer vision and graphics, a diverse range of applications of these techniques were discussed, from vehicle classification, to crystallography, to medial and biological imaging, to cosmology… and many others. I particularly enjoyed many interesting discussions over coffee, often contemplating the application of methods from one field to another. 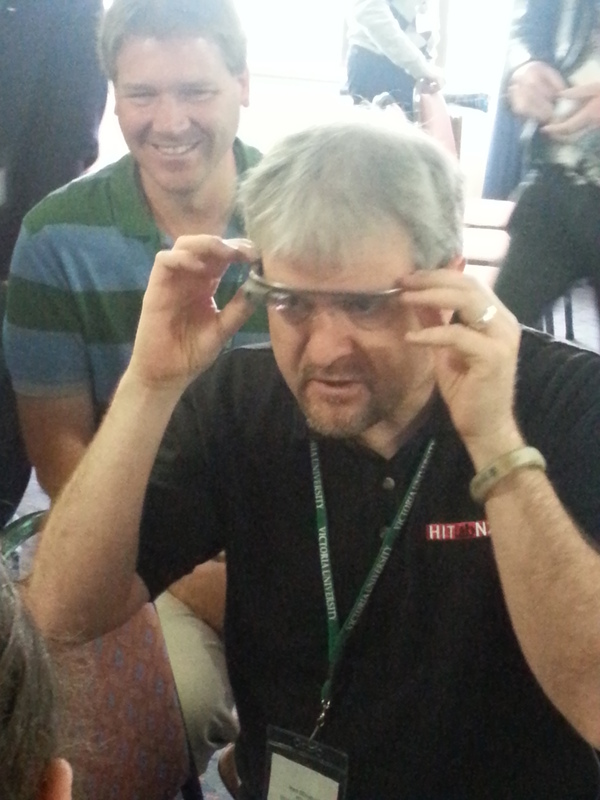 One of the highlights was certainly the opportunity to test-drive Google Glass (kindly provided by Mark Billinghurst)! Mark Billinghurst test-driving Google Glass. It can be insightful to analyse data, or “signals”, in different domains. For example, the frequency spectrum of music is often studied, where contributions to the base and treble are more clearly visible. 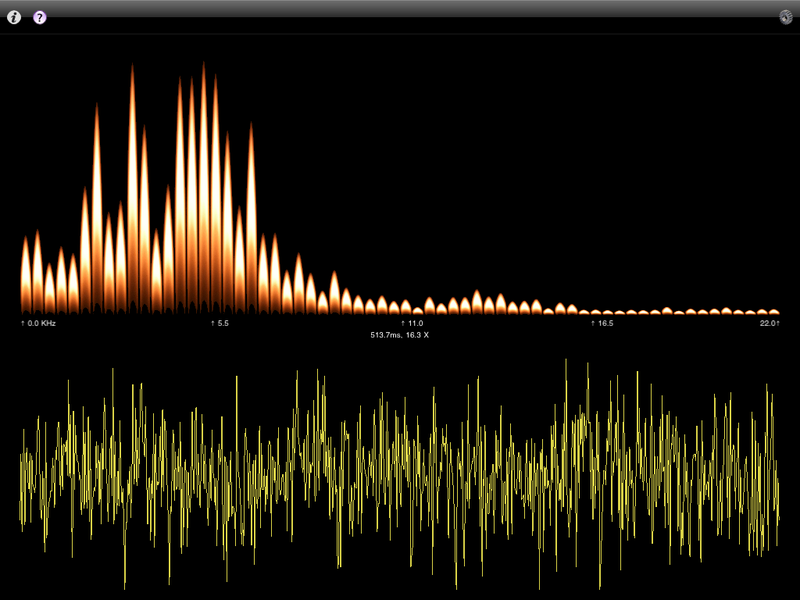 Music in time (lower panel) and frequency (upper panel). These representations can be computed on your iPhone. In the Fourier domain, we can probe the frequency content of signals but lose information about the time localisation of signal structure. In the time domain, the reverse is true: we can probe the time content of signals but lose information about the frequency localisation of signal structure. Wavelets overcome this problem by looking at signal content in time and frequency (scale) simultaneously. Often, we may be interested in signals that are defined on domains other than time. For example, a standard image is a two-dimensional signal defined on a spatial domain. Nevertheless, for such signals it can also be insightful to view the signal content in the frequency domain, rather than the spatial domain, or in the wavelet domain. Many physical processes are manifest on particular physical scales, while also spatially localised. Wavelets are therefore a powerful analysis tool for extracting the fingerprint of a physical process of interest when it is embedded in some background signal. Wavelets have now become a standard analysis technique for studying the anisotropies of the cosmic microwave background (CMB). 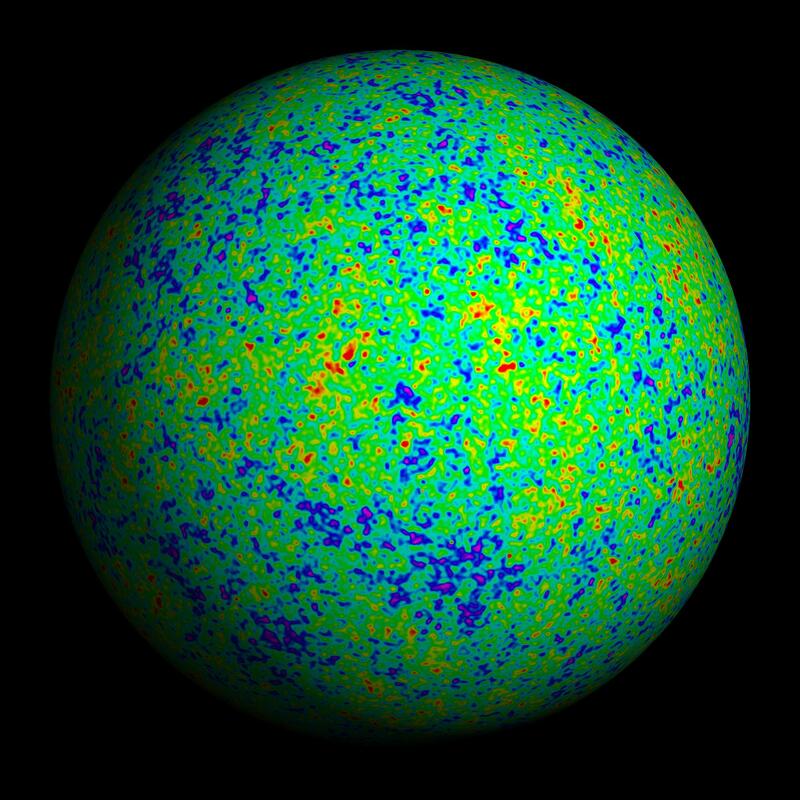 In this setting, the signal of interest (the CMB) is defined on the celestial sphere. We therefore need wavelet transforms defined on the sphere. A number of wavelet transforms have been defined on the sphere. 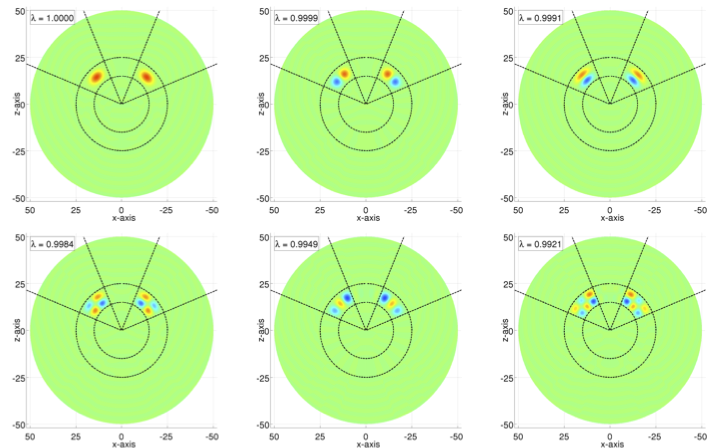 The construction of many of these analysis methods has been motivated directly by the desire to study the CMB but these techniques are of general use for studying signals on the sphere, such as observations made in geophysics and computer graphics. Wavelets defined on the sphere are now a prevalent analysis technique for studying the CMB. In fact, many of the cosmological studies performed in the 2013 analysis and release of Planck data used wavelet methods . The large-scale structure (LSS) of the Universe, as traced by the distribution of galaxies, is another powerful cosmological probe. Observations tracing the LSS are made in three-dimensions, with the radial dimension measuring redshift. These observations therefore also live in spherical space and are made on the ball, i.e. on the sphere augmented with depth information. 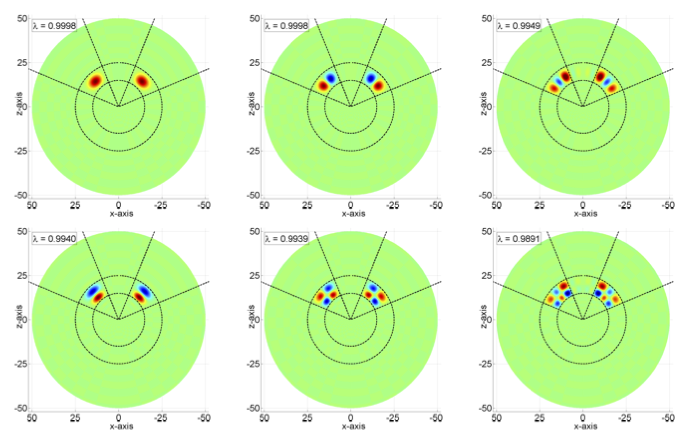 Recently, we have developed wavelet methods defined on the ball for the purpose of extracting cosmological information from observations tracing the LSS. More technical details on wavelets on the ball will appear in a future post. We hope that these types of methods can prove as useful for studying the LSS as they have for studying the CMB. We’re now busy applying them for various cosmological analyses and will keep you posted! Occasionally people ask me what I work on, and at some point in the conversation the words “dark matter” inevitably arise. Normally one would say that dark matter “is named because it does not emit or absorb light, unlike ordinary matter that does…”. However in every day usage an object is “dark” because either i) it is absorbing light, or ii) there simply is no detectable light present (its dark at night because your eyes can’t detect the very low level of optical photons around). So if everyday things are dark because they do absorb light, why does dark matter not absorb light? Dark matter is a material that constitutes the majority of the mass in the Universe, it doesn’t interact with other particles with light but it does with gravity. Light in fact passes straight through it, as does the atoms that make up the Earth and you and all the stars and galaxies we can see. 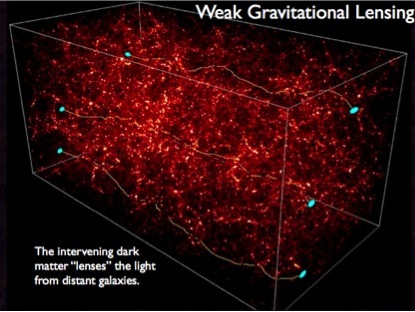 Astrophysicists hypothesized dark matter due to discrepancies between the mass of large astronomical objects determined from their gravitational effects and the mass calculated from the “luminous matter” they contain: stars, gas, and dust. 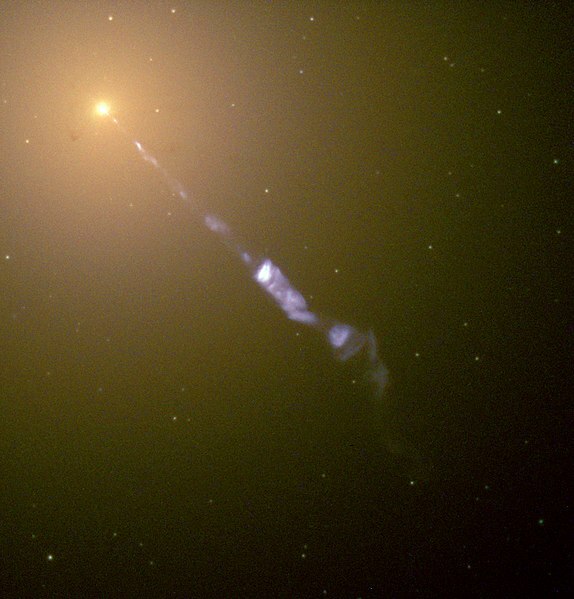 It was first postulated by Jan Oort in 1932 to account for the orbital velocities of stars in the Milky Way and by Fritz Zwicky in 1933 to account for evidence of “missing mass” in the orbital velocities of galaxies in clusters. In fact Zwicky referred to the matter as dunkle Materie that has a German-to-English translation of dark matter. It is interesting to note that dark matter did not enter the common scientific canon, or popular culture for another 50 years after Zwicky’s discovery. A search for the term “dark matter” in books produces the figure below, where it can be seen that it was not until the 1980’s that the dark was popularised. This was due in a large part to the work of Vera Rubin in the 1970’s on galaxy rotation curves, that lead to the publication of an influential paper in 1980. Search on https://books.google.com/ngrams/ for “dark matter”. The percentage of books that contain this term. 3. a. Dark colour or shade; spec. in Art. a part of a picture in shadow, as opposed to alight., b. fig. A dark spot, a blot. 5. in the dark: in a state of ignorance; without knowledge as regards some particular fact. So on the face of it “dark matter” satisfies several of these definitions, except that it doesn’t quite fit any of them. Dark matter is not an “absence of light”, since light can pass straight through it: dark matter can in fact be permeated with light. Dark matter is not a “leap in the dark” since it is not a wild or speculative conjecture (although some may argue on this point). 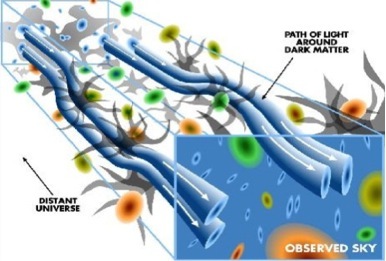 Perhaps the most appropriate is definition 4, but in fact dark matter is not hidden from view, since with gravitational lensing we can directly observe its effect. And with definition 5, the usage is not quite correct, which should be “we are in the dark, about this matter”. Furthermore the name is somewhat depressing, one of the OED adjectival definitions is “Devoid of that which brightens or cheers; gloomy, cheerless, dismal, sad.” (and of course no one wants to turn to “dark side”). Transparent Matter : This has a nice descriptive word that actually has physical interpretation that is accurate. Clear matter would be along similar lines. If you are cosmologist would you prefer to be talking about transparent matter every day, or dark matter? Materia Incognita : The unknown material. Maps used to be labelled with “terra incognita“, in a similar way we could be explicit about ignorance of its nature (caveat: my latin is possibly entirely incorrect). Maps also, according to legend, used to use the term “here be dragons”, so I am tempted to propose that dark matter should be called “Dragonite“, “Dragonium” or perhaps even “Smaugite“, but I won’t. 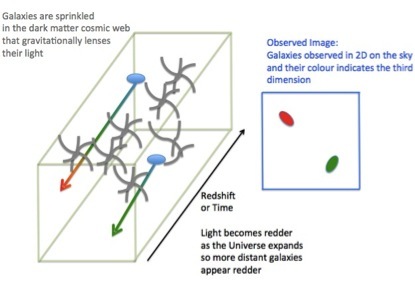 The Cosmic Scaffolding : This would explain an aspect of the role this matter plays in the growth of large-scale structure, but normal scaffolding can be seen, so perhaps “the transparent cosmic scaffolding”, but this is admittedly not as catchy as dark matter. 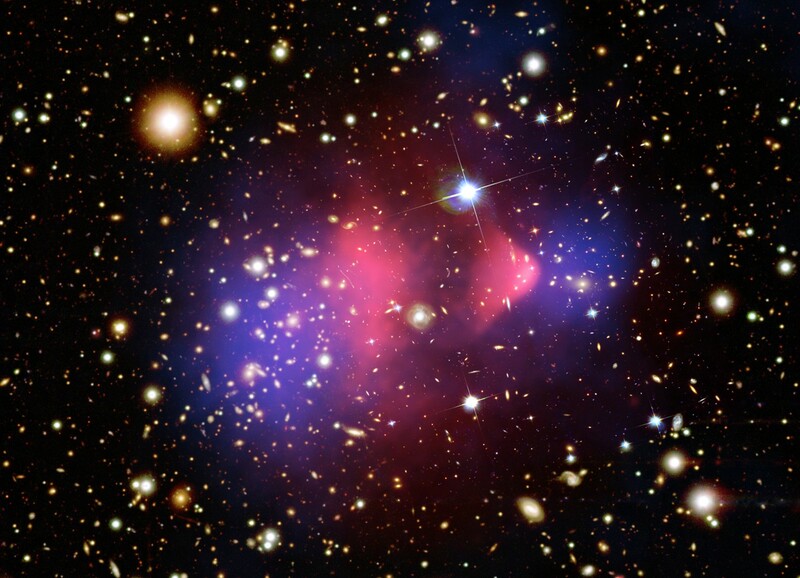 However the name dark matter is probably here to stay for the near future. But don’t worry because this will hopefully be a brief period as new direct detection experiments, and new cosmic sky surveys come online we will learn the true nature of this mysterious component of our Universe and give it its true name. 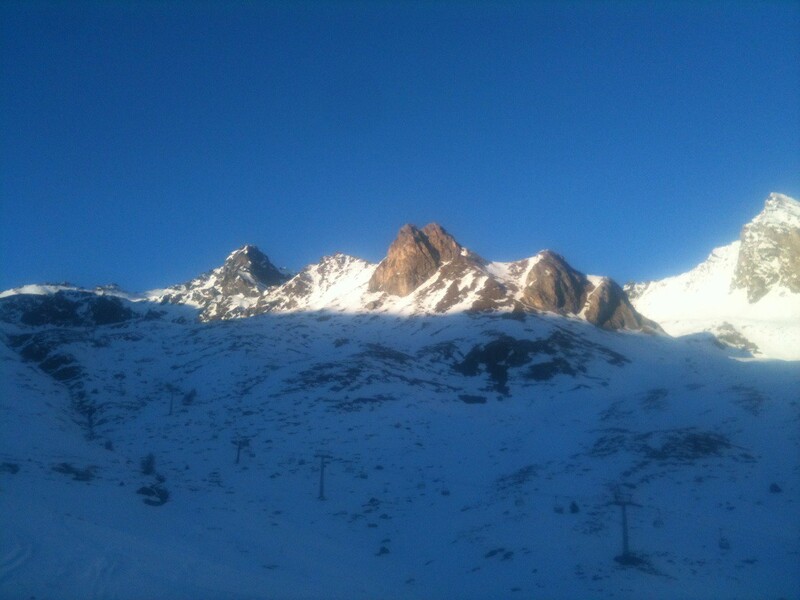 Weak Lensing in the Alps! 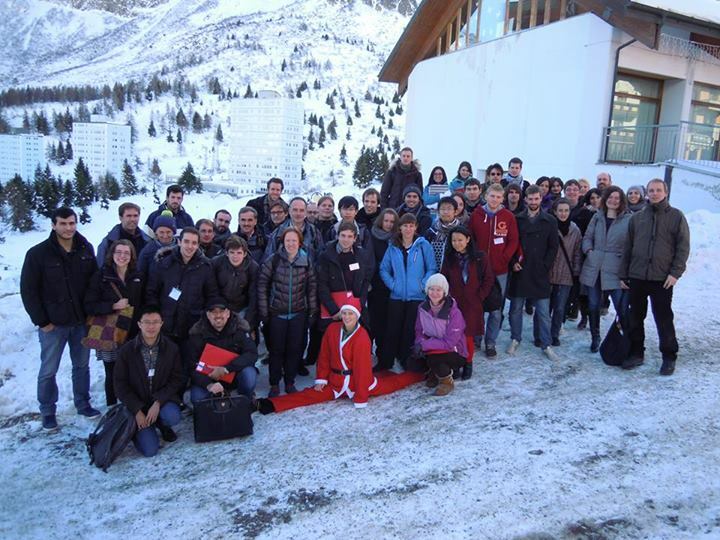 This month I was very fortunate to be a lecturer at the TRR33 winter school in Passo del Tonale in the Italian Alps. The aim of the school was “Theory for Observers & Observations for Theorists”. My task for to educate the PhD students in weak lensing, which is a method that can be used to map dark matter and infer cosmology. Over the course of the lecture we went through what a lens actually is, and I used some inspiration from Richard Feyman in his book QED. As light propagates from point A to point B it can take any possible path, with a particular probability. 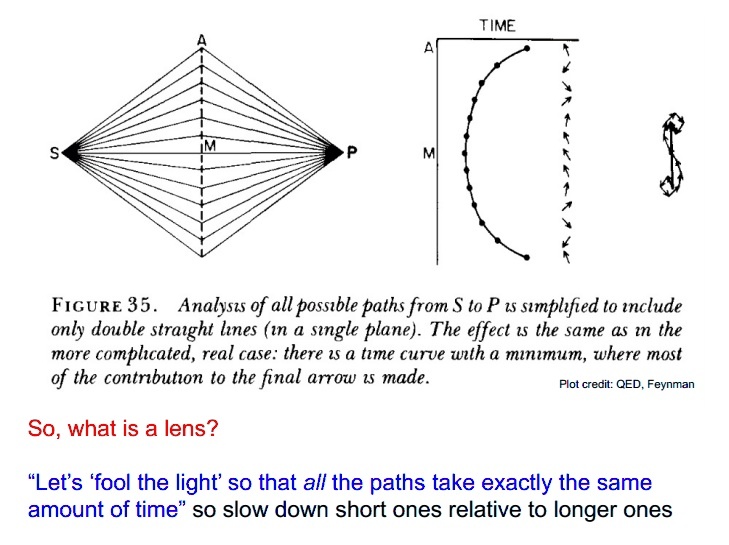 In his book Feynman then poses the thought experiment and asks what would happen if we “fooled the light” so that every path took the same amount of time. What we end up with is a lens! So in a certain sense you can think of a lens as a device for equalising the probability of paths between two points; or down-weighting the most likely paths. Of course, reality is much more complicated than that, but I was struck that this was a very nice way to explain why lenses work the way they do. 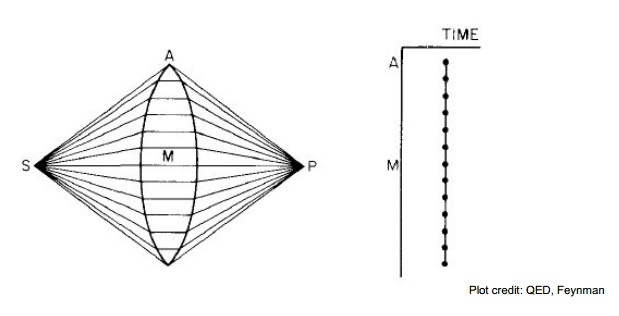 These explanations, from a mathematical perspective are using the principle of least action, which is a powerful general technique used in physics. The amount of lensing caused by large scale structures in the Universe can be derived in a similar way. It strikes me an elegant historical path that astronomy itself has taken: it was founded on the technological development of optical lenses, and that now as we are planning on surveying almost the entire sky over a significant fraction of the age of the Universe it is the motivation of observing the lensing caused by the Universe itself that is driving these ambitions (see for example Sami’s Euclid post). The meetings organisers were amazingly good at arranging fun and engaging activities for the participants (as Peter Coles over at Telescoper eloquently remarked last year), who found themselves skiing, hiking through the night in snow shows, getting guided tours of the night sky (for some students it was the first time the Milky Way had been observed), and having 4 course meals every day for lunch and dinner! One of the joys of being an astronomer is sharing your knowledge, exploring new places and meeting amazing people. 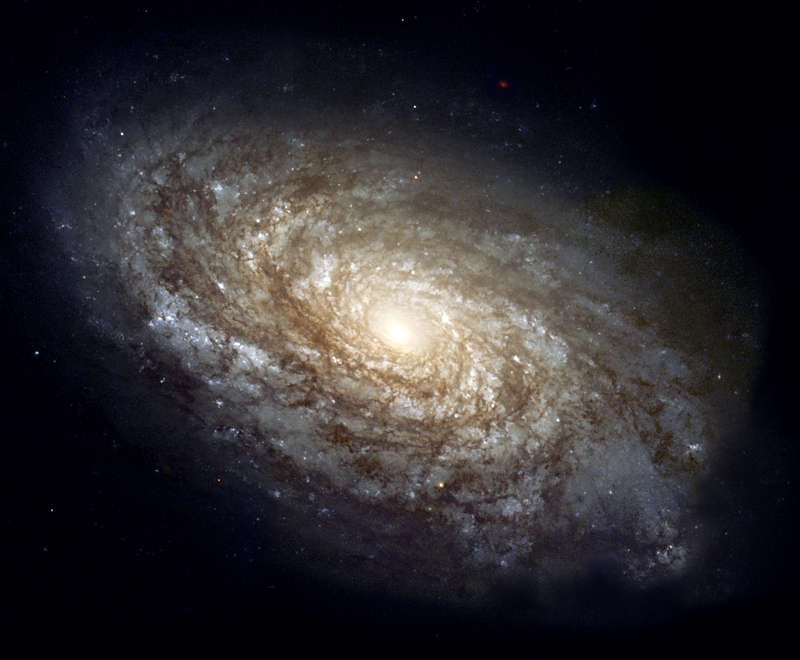 How does the mass-to-light ratio of galaxies change over time? 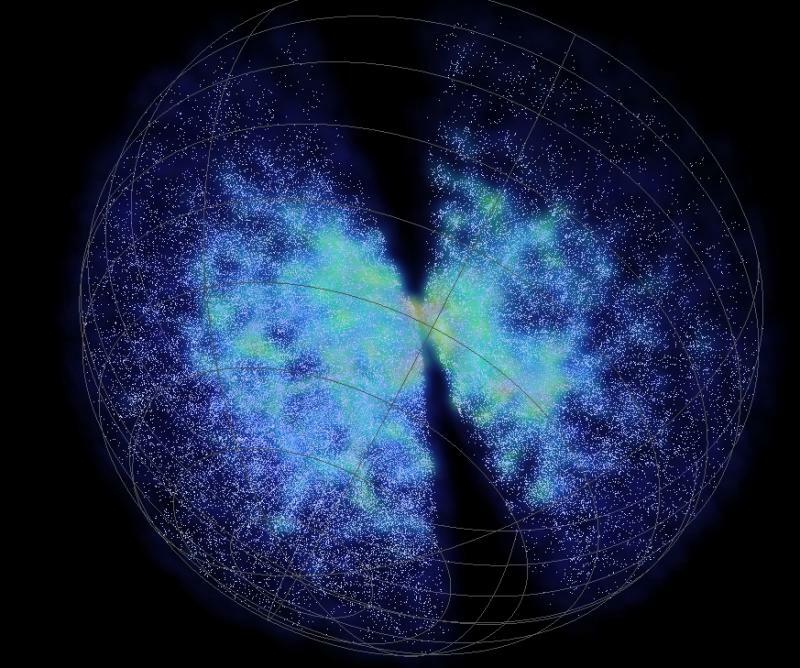 In a recent paper, led by collaborator Dr Mike Hudson the CFHTLenS survey was used to investigate how the relationship between the total amount of matter surrounding galaxies, compared to the amount of luminous (stellar) matter changes as a the Universe ages. There is a vast and growing amount of evidence that the stars we see in galaxies are just the tip of the ice-berg when it comes to the total amount of matter. In this recent paper the gravitational lensing signal around individual galaxies was used to measure the amount of total matter present; which would include any unseen or dark matter. It was confirmed that there is much more dark matter than star-matter, and that in fact there is roughly 30 times more dark matter than star-matter! What this study found for the first time was that this ratio of dark matter to star-matter is not a constant as the Universe ages but is actually changing. It was found that the peak ratio falls as a function of cosmic time from 3.8±0.3 percent when the Universe was 7.4 billion years old to only 3.0±0.2 percent at when the Universe was 10.3 billion years old. This is a very precise measurement, measuring a change of only 1 percent over a timescale of nearly 3 billion years! Why is this change happening? The paper shows that the change is actually dominated by changes in galaxies that are “red”, these are large and old galaxies where the production-rate of stars is slowing down as they run out of available gas, as the Universe ages. Interestingly if this change is dominated by the red galaxies then it implies that in the other galaxies, so-called “blue” galaxies, that are young and star-forming, the amount of stars that are made is balanced by the amount of dark matter attracted to those galaxies.